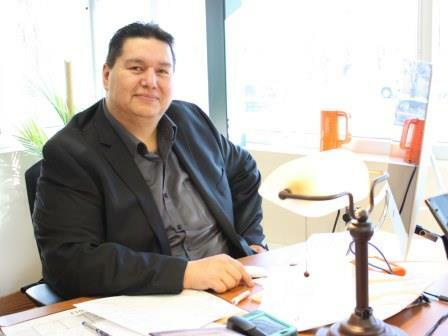 BRANDON, MB – A Brandon University (BU) instructor and respected elder has been recognized by the Manitoba government as the Aboriginal Educator of the Month. Kevin Tacan, from the Sioux Valley Dakota Nation west of Brandon, is a sessional instructor with BU’s Native Studies department, teaching the Dakota language. Tacan is a BU alumnus, graduating in 2012 with a BA 4 year Honours, and is currently in the midst of completing a Master’s Degree in Rural Development. Since 1996, he has been employed with the Brandon School Division as Elder and Counselor. 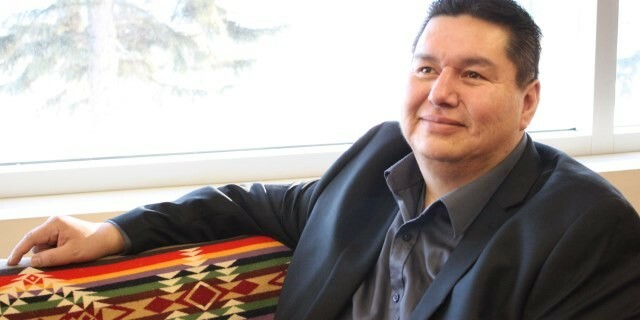 In 1975, Brandon University became the first university in western Canada to create a Native Studies department and continues to offer innovative, relevant programming including North America’s first undergraduate course combining traditional knowledge with the clinical skills necessary for counselors to develop the cultural competencies to work with Aboriginal people and communities.